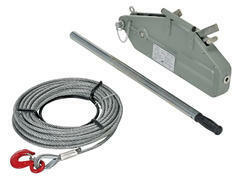 Offering you a complete choice of products which include polyester safety belts and long reach cable puller. 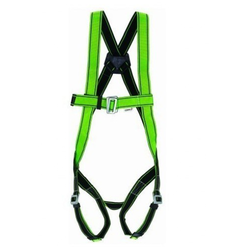 While climbing on the success ladder, it has become increasingly important for us to deliver precisely tested and high grade assortment of Polyester Safety Belts. The offered belts should be suitable for use by electricians and servicemen engaged in the erection, installation and maintenance of electric line poles. We assure our clients that our range is quality tested on predefined parameters, in order to meet industry standards. Apart from this our prestigious clients can avail the entire range of belts, as per their needs, at highly competitive price. Minimum Order Quantity 5 pc.